Descant Tutor 1. Composed by Brian Bonsor. Sheet music. Edition Schott. This series of books sets out to help learners of all ages in many situations. Experienced teachers will find exercises and fine tunes a-plenty to support their own method at each stage. The less experienced will benefit from many valuable teaching hints . Instruction, Classical. Student book (softcover). 104 pages. Schott Music #ED11464. Published by Schott Music (HL.49002828). The best way to learn any instrument is to have lessons from a good, experienced teacher. 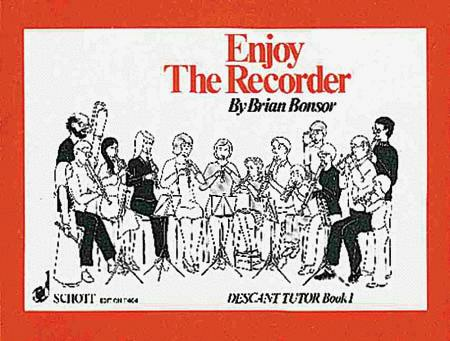 Although the number of such teachers is constantly growing, the recorder is still frequently taught by enthusiastic but inexperienced teachers and many players start by teaching themselves. This series of books sets out to help learners of all ages in all three situations. Experienced teachers, who may choose to disregard much of the text as personal demonstration is always clearer than the written word, will find exercises and fine tunes a-plenty to support their own mathod at each stage. The less experienced will benefit from many valuable teaching hints culled from long experience and may rely on the books to lead to a sound playing technique and a mastery of simple notation.